A few more commissions finished today. 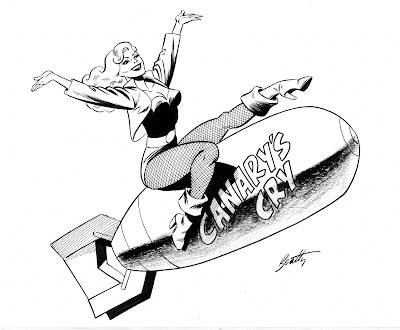 Here's another "Bombshell" -- Black Canary. 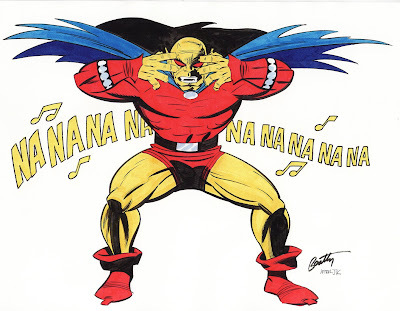 And at the buyer's request, this is Jack Kirby's Demon -- doing the Batusi! And loaded with "Kirby Krackle," here are Galactus and the Silver Surfer. 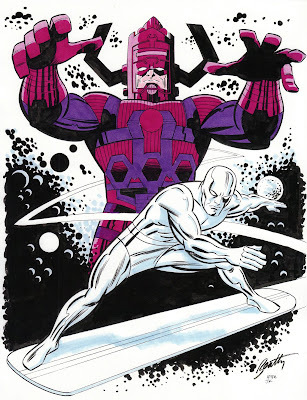 Galactus and surfer are freakin' awesome!